Discussion in 'iOS 8' started by wannabelean, Apr 19, 2015. Have a lot of share to options but whatsapp is never there. Why is this? is this intentional? or just a bug? Anybody knows how I can put whatsapp in the share to list? Thanks in advance for any help you are able to provide. Try scrolling on the top row and if you don't see it tap more. If it's not in the following menu then what's app doesn't have a share button. Did that already. Strange that it isn't there since pretty much everything else is there. I also have WhatsApp installed but i can say that they do not support the iOS8 Share extension feature unfortunately. I did just notice this tweet from early March '15 that it's in Beta for iOS. The list of apps that do support this feature is still ages after iOS8 release pretty small (unfortunately). I just recently updated this wiki Share Extensions topic with a short list of apps that do support it. Thanks for this. My hunch is that facebook is doing this intentionally and hoping that users use Facebook messenger rather than whatsapp. I know whatsapp is owned by Facebook too but promoting FB messenger must be on higher priority. Seems like WhatsApp didn't have this implemented before and often take their time with updates and addition of new items related to what's available in iOS. In fact not that many apps jumped on this extension feature, without any Facebook involvement. Seems like it's in beta as well, meaning they are working on it. Not sure how it would even relate to Facebook getting something out of it by not having this feature in WhatsApp. And look at that WhatsApp now supports this with their update released today. So much for Facebook getting in the way there intentionally. You're right! I just saw the update note. I don't have any data or news to back my theory but I thought it may be possible because pretty much every app on my phone had a share extension! Even the not so popular ones. Indeed great to see that WhatsApp now supports the share sheet extension. Wow then you don't have much apps installed i suppose. 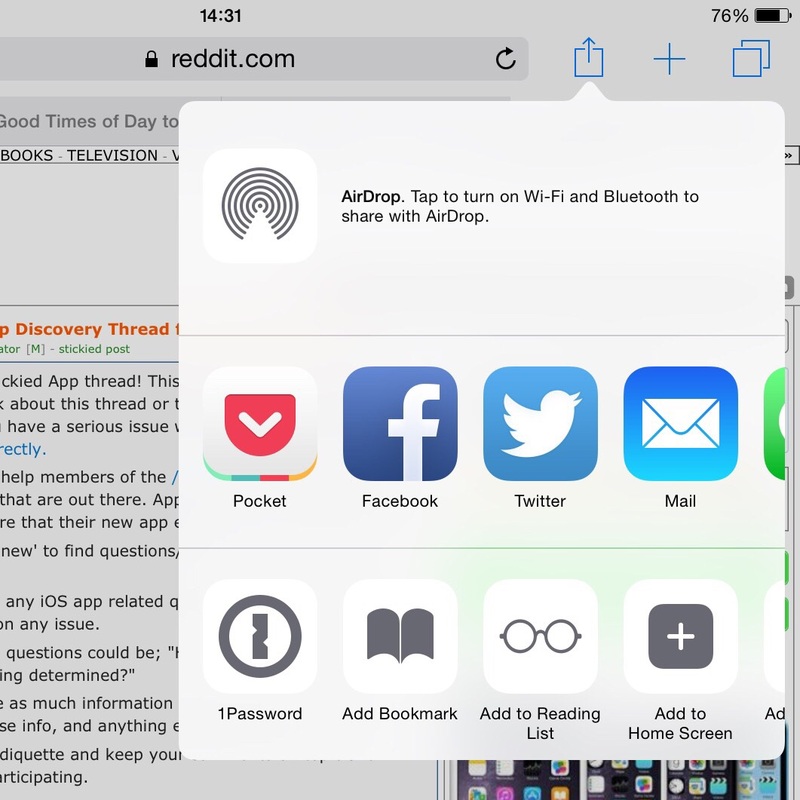 I still think the amount of apps that support the share extensions is very small. I'm maintaining a list in this topic and it's still very short in my opinion. Lots of apps stick lack this functionality e.g. Mailbox by Dropbox, Outlook, Yahoo Mail.